With NCHM JEE counselling procedure kicked off on May 26 and one of its vital counseling stage “Choice Locking” is scheduled to begin on June 11. The "choice locking" stage is three days long event, to be held from June 11-13 in which candiates have to seal names of their preferred Institutes of Hotel Management. Careers360 brings insight into counseling details including opening and closing ranks of some of the top IHMS for the last two years and the most preferred IHMs. 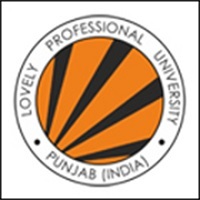 While IHM Pusa, New Delhi, IHM Mumbai, and IHM Kolkata are generally among the top three choices for aspirants, there are a total of 51 participating hotel management institutes which participate in the common counseling events to offer 7920 seats. Online registration and choice filling for first and second rounds of NCHM JEE 2014 counselling will end on June 13, 2014. The crucial three days of the counselling procedure, i.e., June 11-13, 2014 will witness candidates ‘Locking their Choice ” to seal seats in their preferred Institute of Hotel Management. We also bring here the break-up of seats across all IHMs under reserved and unreserved category. 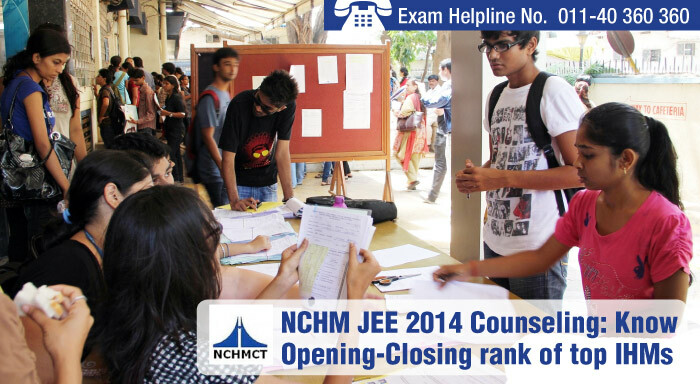 Registration of candidates for NCHM JEE 2014 exam held on April 26, 2014 had increased by 3977. According to exam officials from National Council of Hotel Management and Catering Technology (NCHMCT) for the current academic year, registration number this year stood at 21600, out which 19000 candidates took the exam as compared to the total registration number of 17623 in 2013. The NCHM JEE 2014 result will basis for admission to a total of 7920 seats available at 51 participating hotel management institutes. The participating institutes under NCHM JEE 2014 include 21 Central Institutes, 15 State Government Institutes and 15 private institutes of Hotel Management. 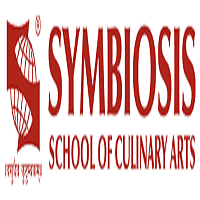 Candidates willing to secure admission at some of top Institutes of Hotel Management have to exercise their choices of institutes in order of their preference wisely. As per the eligibility and rank of candidates, available seat information relating to institutions will be provided to them and they will be able to fill in as many numbers of choices as they wish in the order of preference. This ensures they can re-position order of preference of their opted IHMs at choice modification round. Choice modification for 2nd round of online counselling will be on June 25-27, 2014 till 5.00 pm. Thus, candidates may encounter a chance to get admission at their desired top IHMs, provided they their preferred IHM and MCHM JEE rank are in sync. A unique All India Rank, on the basis of performance of candidates in the written exam is allotted to each qualifying candidate. No separate rank for General, SC, ST, PD, KM categories will be allotted. According to L.K. Ganguli, Director (Accounts & Finance) of exam conducting authority NCHMCT, the NCHM JEE 2014 admission process for B.Sc. in Hospitality & Hotel Administration course will comprise a total of three rounds of Counselling. First two rounds will be conducted in online mode and the last round will be in offline mode. Candidates have to report at the designated Admission Centres. Candidates can cancel their allotted seat by submitting a declaration as per the predefined format at Admission Centre. The fee shall be refunded through DD. 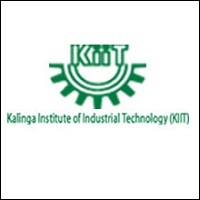 The refund amount will depend on number of classes attended by the candidates at their allotted institute. Candidates, who have attended classes (even a single class) at the allotted institute is not eligible for refund of fee. Such candidates will receive the Caution Money from the allotted institute.